With the rise of the smartphone, more and more consumers are able to access the web on-the-go. Marketers across the country are beginning to see the need for mobile-optimized websites and dedicated mobile apps designed to accommodate this growing subset of users. If you own and maintain a website, chances are that 20%-25% of your organic traffic comes from mobile devices, and that number is expected to rise as time goes on. Is my target audience using apps at all? 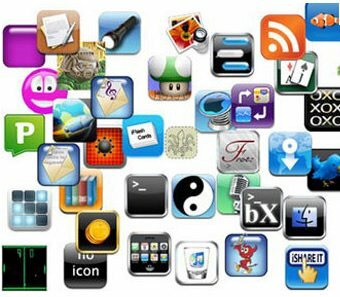 Statistics show that, within the US, half of all adults own a smartphone, and of that group, 43% of them use mobile apps. Age-wise, apps are used by smartphone owners of all ages, but the trend shows that apps are most often used by smartphone owners aged 23-45, a group that is further subdivided into two more groups, aged 23-31 and 32-45. Am I Capable of Building and Maintaining an App? The thing to understand about apps is that they are best thought of as long-term strategies that require a great deal of management and support over time. They shouldn’t be treated as “campaign-based” assets with short lifetimes, as this may result in customers getting out-of-date content and services. Apps work best when customers are already aware of your brand, and that apps are suited for building brand loyalty and enhancing brand experience. If you intend to build brand awareness, however, you’ll need to raise awareness of the app itself. How Do I Ensure the Success of My App? First, it’s important to manage our expectations. Download and usage goals should be set at a reasonable level because, at most, your audience is approximately 39% of all Americans. That’s not at all a small number, however its much smaller compared to the number of Americans that use desktop computers to access information. Second, be prepared to set aside a large paid media budget to promote your app. App stores offer a single point of convergence for app developers and consumers, and they make finding and installing apps an almost trivial process. The downside to this is that there are literally thousands of different apps, spanning thousands of different categories, making it impossible to identify one brand from another, which is what the media budget is for: promoting your app so that people can actually find it. Finally, and this is more of an “internal” thing than anything else, but the issue of who “owns” the app strategy should not get in the way of actually making it work. This may be the hardest step of all, given the nature of some people in the corporate world, but it’s the most important step, and it will go a long way towards making your app successful and the app the best thing to do here is to encourage all departments/individuals involved to work together for the good of the project, and to discourage people from fighting each other over “ownership” of the app strategy.